Both weight rooms will be available for Physical Education classes and non-athletes (in supervised after school workouts). The Sports Performance Team (Strength and Conditioning Staff and Athletic Training Staff) are excited about the new addition and the “facelift” for our existing facility, and as always, look forward to working with the SI students as they prepare for their athletic endeavors! 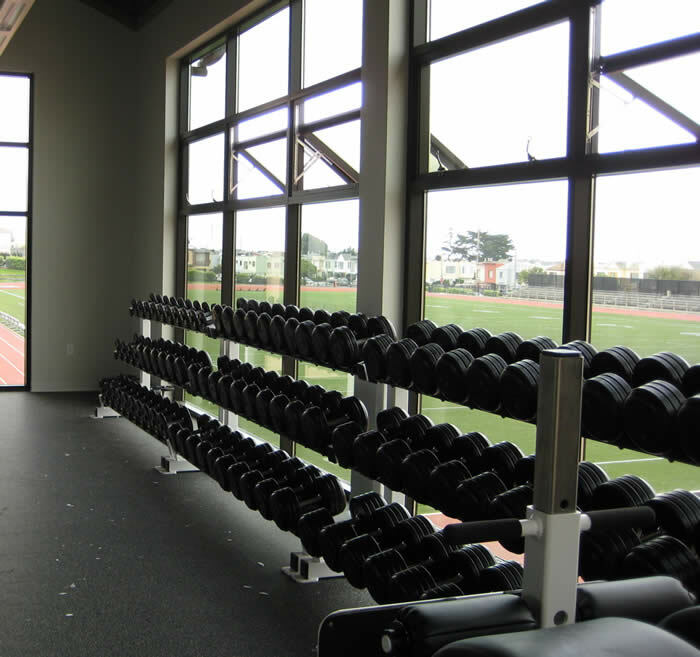 The new weight room--located on top of the field house and new concession stand--is a 1,700 square foot facility with a commanding view of the Pacific Ocean! 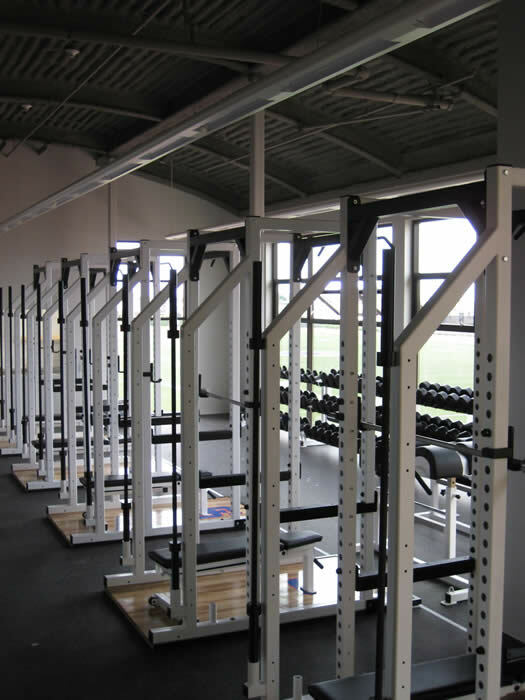 Ironically, for many years (up to 1995) the original SI weight room was located below this new facility, in what is now the remodeled Varsity Field House. With high ceilings, a wall of mirrors and windows everywhere else, the new weight room has an open and airy feel to it, even with the 10 tons of equipment in place! In the planning stages of this project, it was decided that this room would be outfitted with Olympic platforms, dumbbells and enough utility style benches to meet the needs of large group “power” workouts. 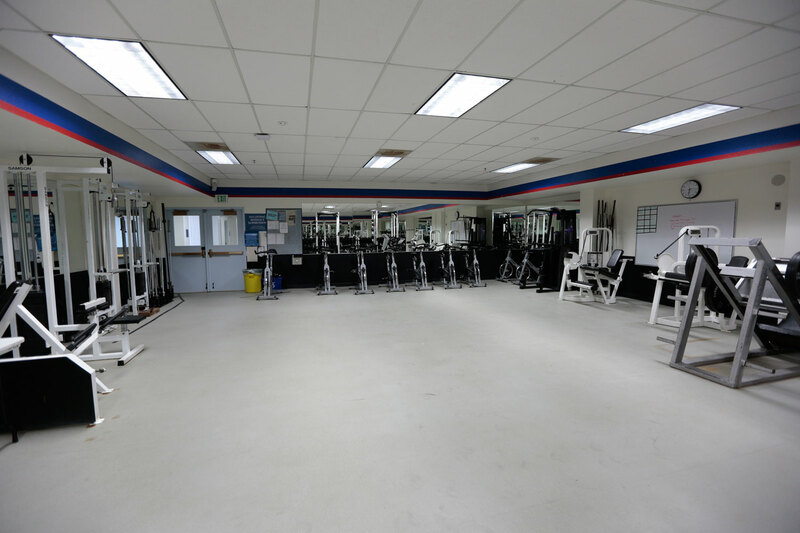 With 12 platform stations and 6 dozen pairs of dumbbells, this room can accommodate close to 60 athletes at a time! Views of track, field and the Pacific! 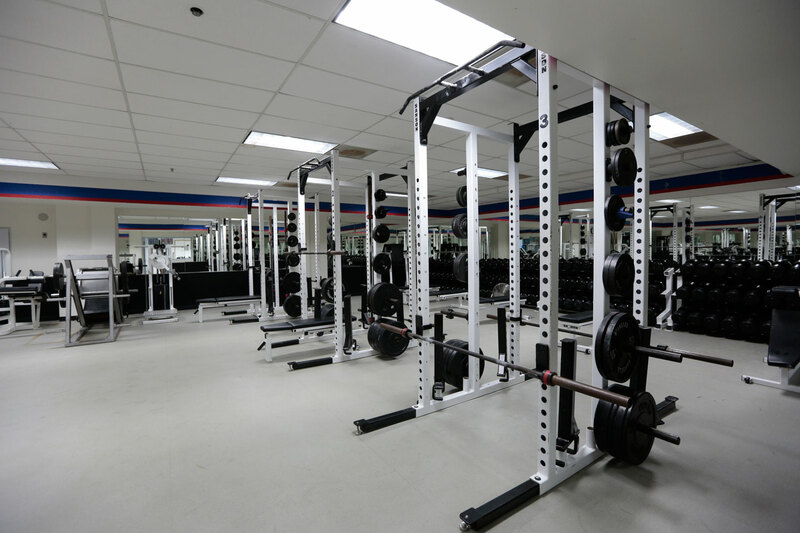 While the prospect of having a new training facility has generated a great deal of excitement among the athletes and general student body, we have much to be excited about in the old weight room too! When the work is complete, the old weight room will have new paint, mirrors on all four walls, a new set of dumbbells (5 dozen pairs), new olympic weights and bars, three new double sided power racks, a Gravitron machine, new benches and 10 new stationary spin-style bikes. The room has already seen much change with a whole new “open” floor plan that will better serve all users and be even more adaptable for multiple group use in peak hours.